Are there different types of dog intelligence? Dogs are thought to have instinctive intelligence, adaptive intelligence, and obedience intelligence. Instinctive intelligence is what a breed is created to do – and does naturally without extra training. For instance, herding breeds usually herd without being taught how to do it. Adaptive intelligence is a dog’s ability to figure things out for themselves. This is what most people refer to when talking about intelligence. Having a dog with high adaptive intelligence can be great – or not so great if it teaches itself to open doors, drawers, and similar. Obedience intelligence is what a dog can be taught to do. It is important to know more things than brainpower factor into obedience intelligence – some dogs are much more eager to please humans, and they will be easier to train. A dog’s brain needs training, just like a human’s. Dogs raised in a stimulating environment tend to become smarter and have an easier time learning new things. So, how smart is a dog? The average dog can learn 165 words. Smarter breeds learn 250 words with ease, and some dogs have been tested on over 1,000 words and an understanding of grammar. 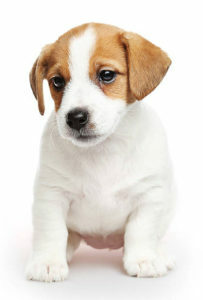 Depending on breed, dogs can count at least up to four or five, and they understand addition and subtraction.